Hi Everyone! I'm Shannon and I blog over at Killer Bunnies, Inc. Yes, I plan on taking over the world... with bunnies. Until I have my trained bunny army I just bake, hike, do Russian style kettlebells and obsess about sugar. 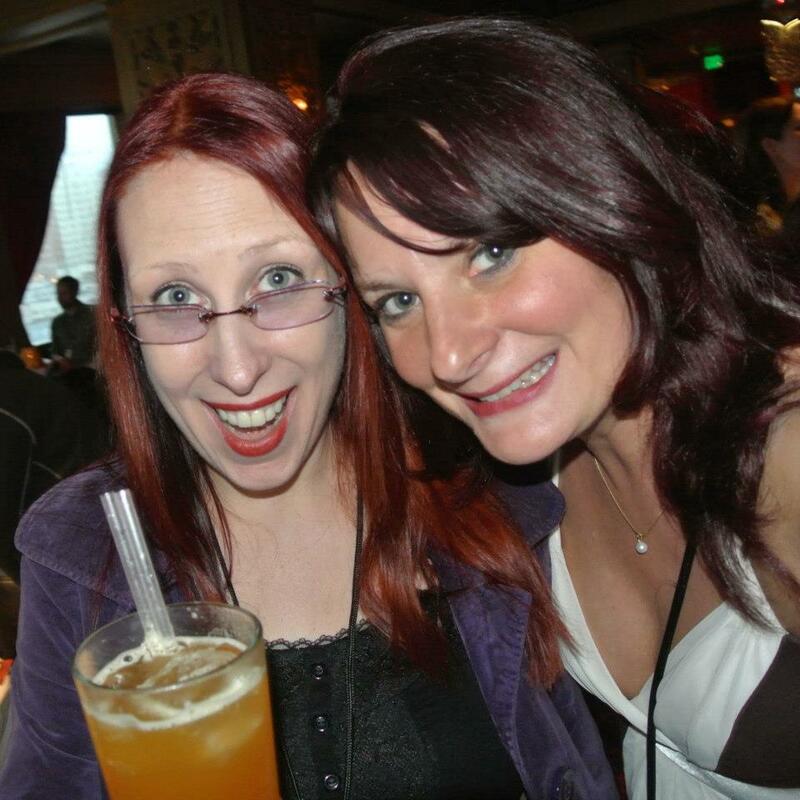 I met Christi at a FoodBuzz conference and we decided we were both crazy enough to be fast friends. Okay, I might be way more than 50 percent of the weirdness in our relationship. It's all good. 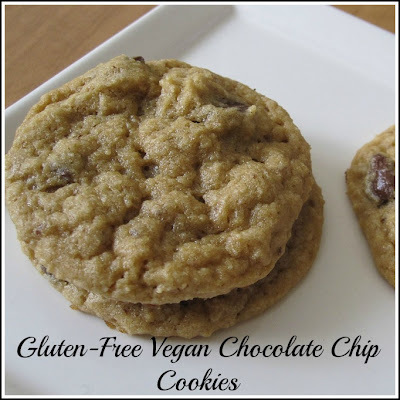 I bake almost exclusively vegan, which means no animal products including eggs and honey. While I'm only a vegetarian I really like the challenge of making a recipe work. Since you are hanging out on Mom, What's For Dinner I know that you totally get food restrictions and allergies. I tend to eat vegan (I can't digest meat enzymes well, and now dairy is off limits) yet I have a large group of friends who are gluten-free, both on an intolerant and a full on allergy level. When we get together everyone is mindful which is honestly an amazing experience. So when I bring something to a party not only does it have to be vegan, I consider gluten-free as well. As you all know lots of gluten-free recipes rely on eggs to help bind them and keep them from being a crumbly mess. A lot of eggs. 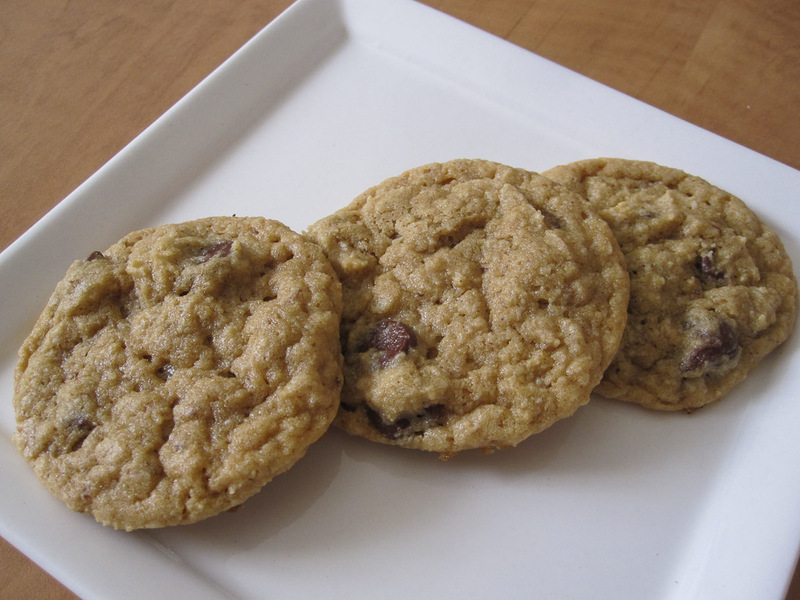 I came up with a brilliant soft chocolate chip cookie recipe I'd like to share. It's not crumbly, it doesn't have a weird aftertaste and it's also oat-free. One of my very allergic friends also can't have certified gluten-free oats so I have to be mindful of that as well. This recipe takes care of everyone. Just a note for international readers! Margarine in the US and Canada tend to have a different water content and it varies brand to brand. Some of it is more firm than the margarine you might get abroad, so be sure to really use your judgement when making these cookies and have them form a nice firm dough. They should be able to hold a ball form before baking. In a small bowl, mix together the flax egg and set aside. Beat the margarine and sugars until creamy. Beat in the flax egg and vanilla extract. Add the 1 cup of each flour (garbanzo bean and almond) as well as the baking spice, baking soda and salt. Check the texture, and see if it needs more flour. If it doesn't hold up to a ball form (it doesn't have to be stiff, just hold a bit of a form) then add more almond flour as needed. Mix in the chocolate chips. 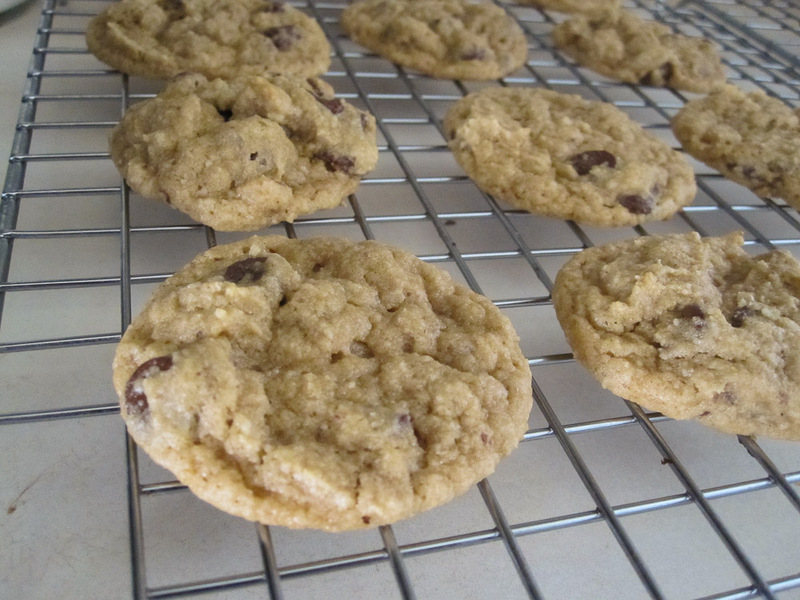 Drop balls of dough on the baking sheet with a small cookie scoop or teaspoons. The dough will be very sticky but should release from the scoop easily. Flatten the balls down a bit but they should spread as they cool. Bake for about 10-11 minutes until slightly gold along edges. Allow to cool for 5-10 minutes on the baking sheet and then transfer to a cooling rack for another 10 minutes.